Sunyani East MP Donates Ghc 10,000.00 to St. James Seminary. HomeLocal NewsSunyani East MP Donates Ghc 10,000.00 to St. James Seminary. 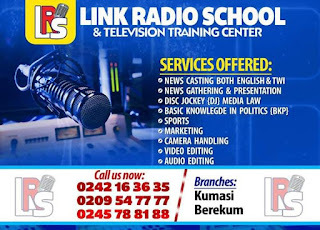 The Member of Parliament for Sunyani East on the ticket of the ruling New Patriotic Party (NPP) has donated a sum of Ten Thousand Ghana Cedis (Ghc 10,000.00) to the Saint James Seminary Senior High School. Honorable Kwesi Ameyaw Cheremeh made this donations today, Monday 6 August 2018 at the school's campus to help the school in their day to day administration of the of the school. Receiving the donation on behalf of the schools, Mr Daniel Yeboah who is the Vice Rector of the school showed appreciations and thanked the law maker. "The Teachers, PTA and the entire students are very grateful to you Mr Ameyaw Cheremeh for what you have done for us, we ask of God's favor and blessings for you"
The Honorable member also charged the students to also take their studies serious. Informations gathered by your most reliable source of news, fillascorner.com indicate that the Member of Parliament is also building a Ten (10) seater toilet facilities for the school. To his credit has also already constructed a mechanised borehole with solar panel for Saint James Seminary, which is going to help the students who sometimes find it difficult to get water whenever there is shortage of water. They sometimes struggle for water for their domestic use when there is light out. 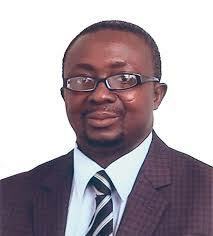 Honorable Ameyaw Cheremeh is the brother of the Brong Ahafo Regional Minister Honorable Asomah Cheremeh.